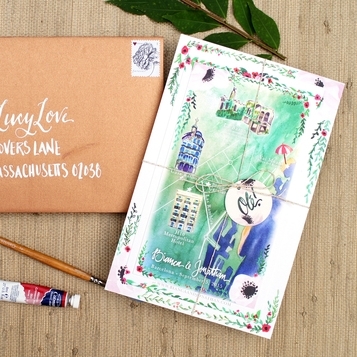 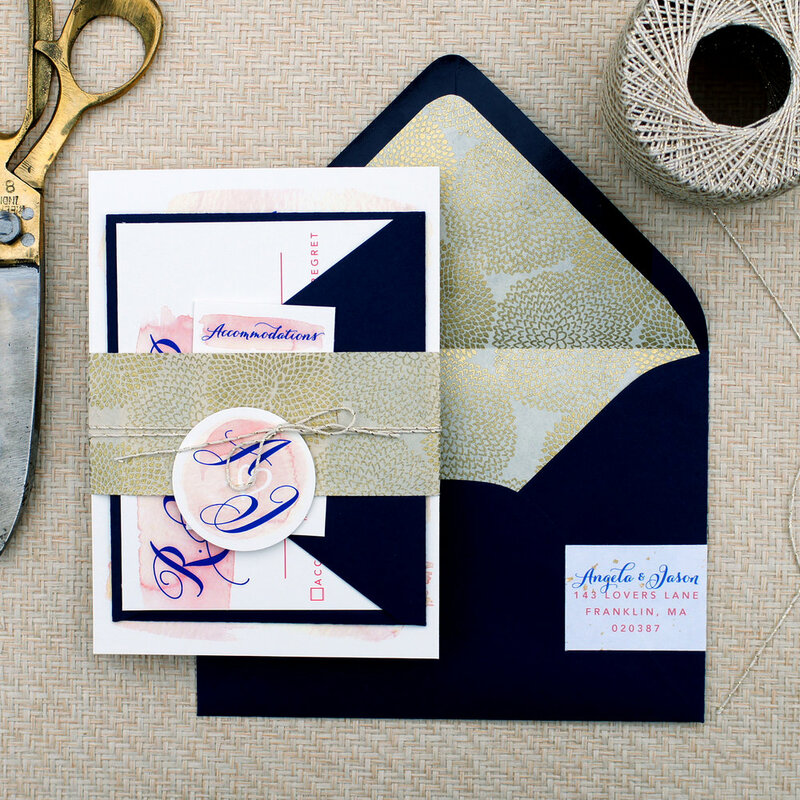 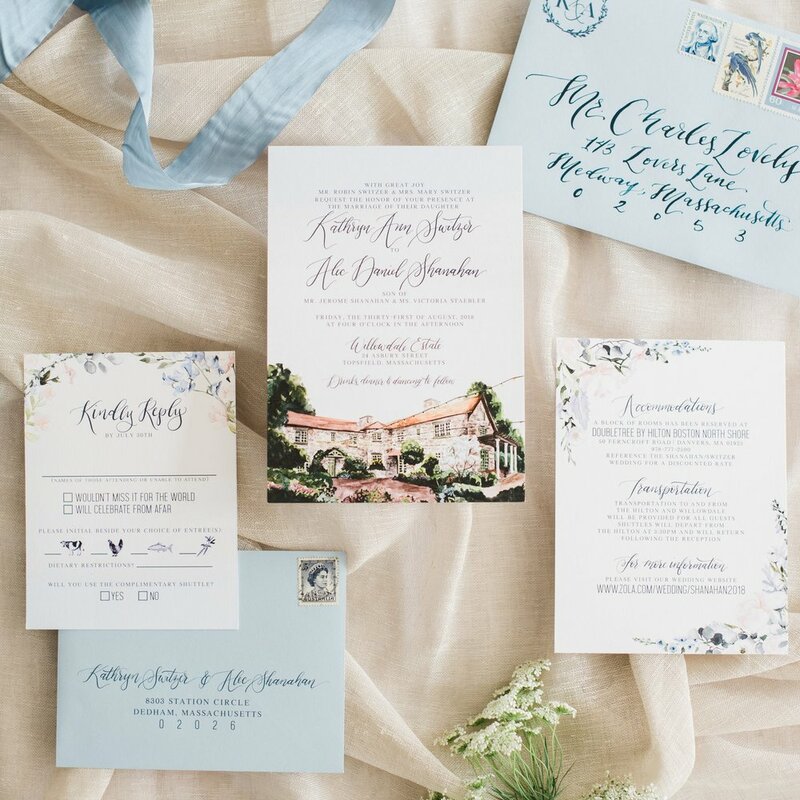 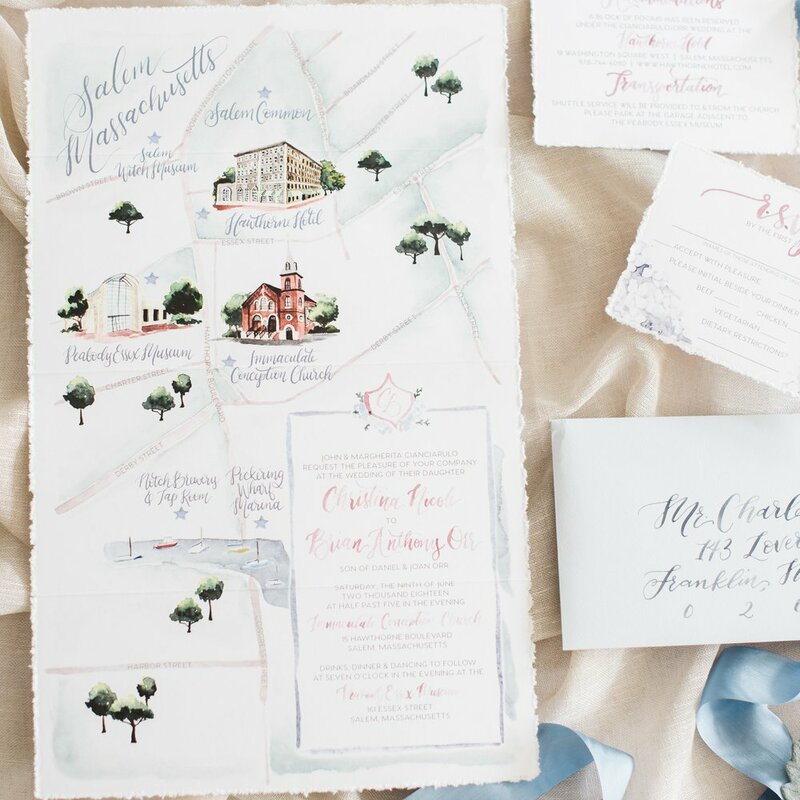 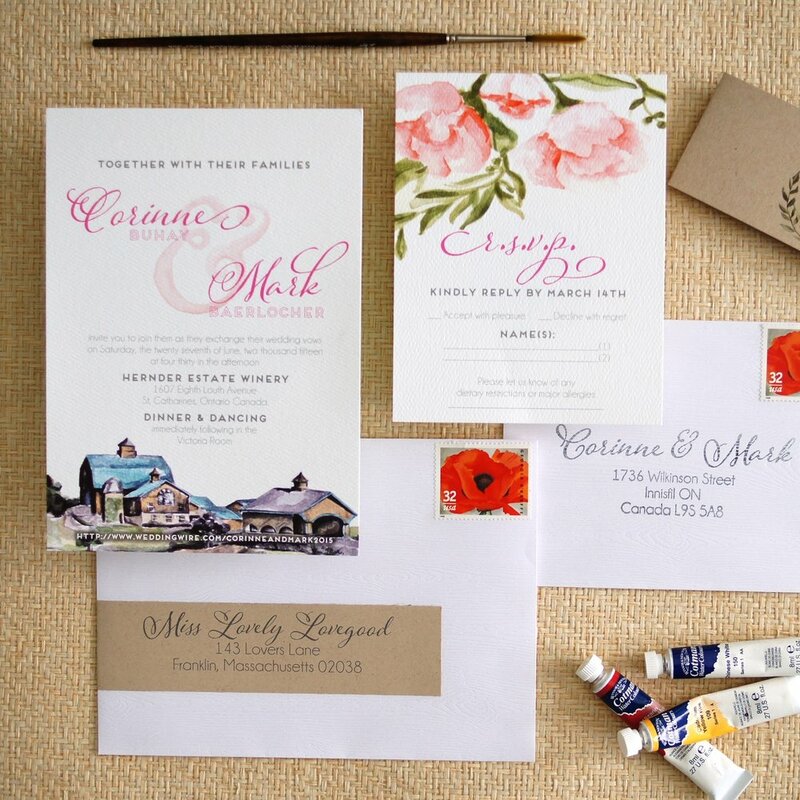 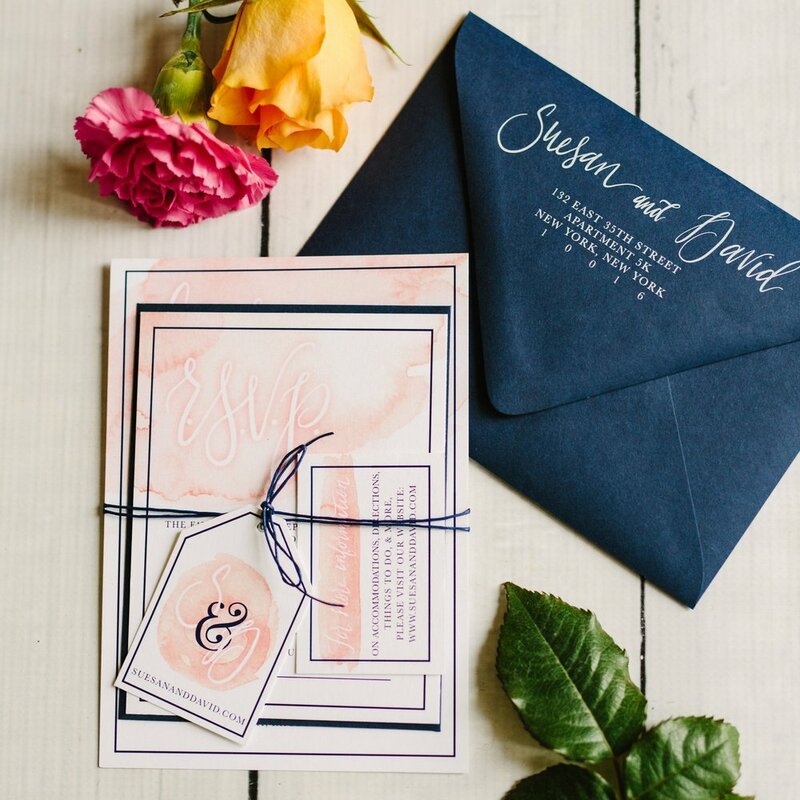 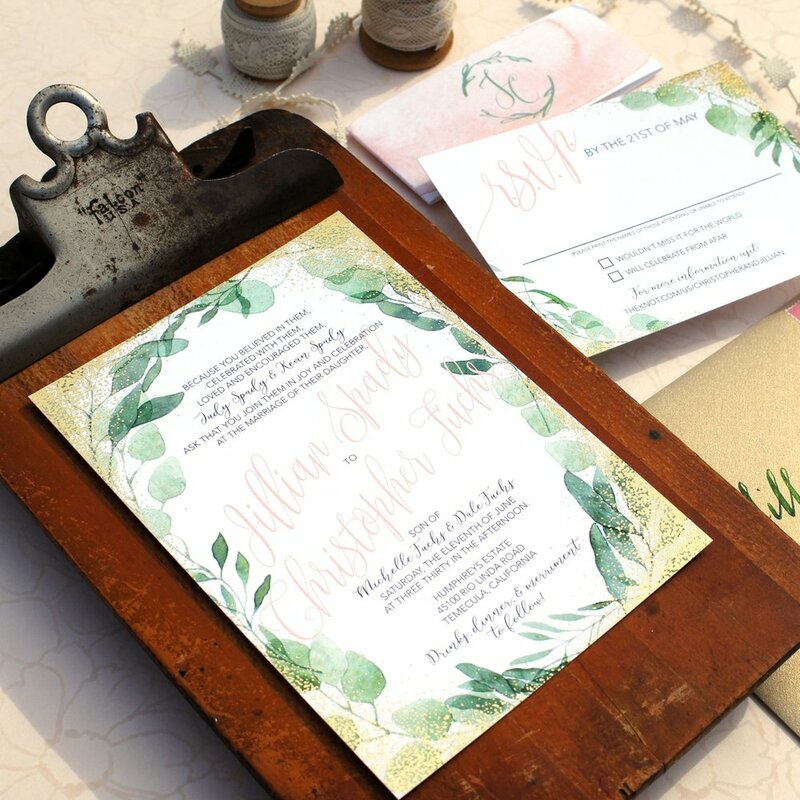 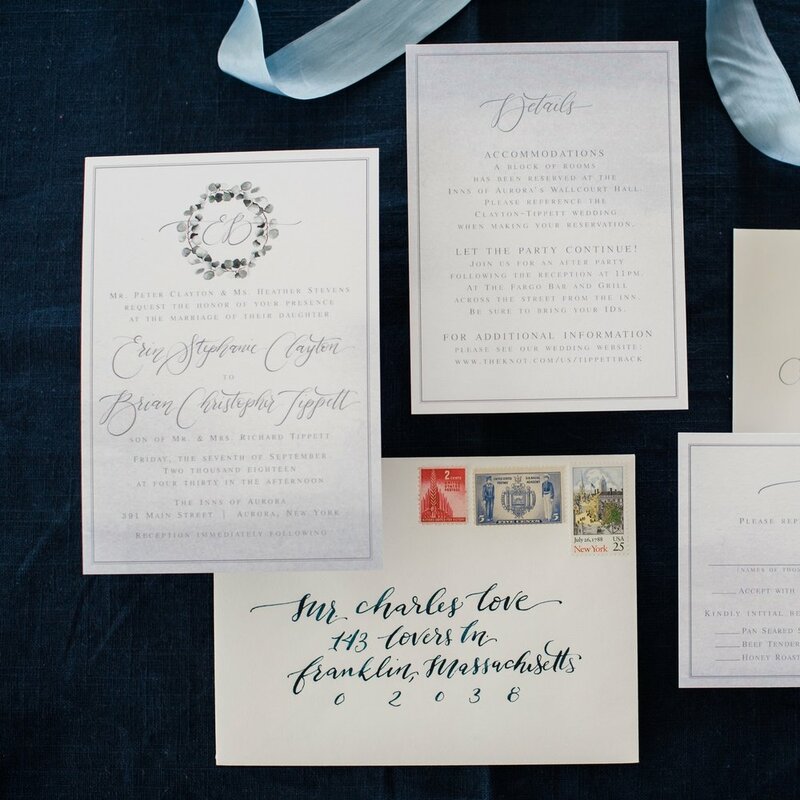 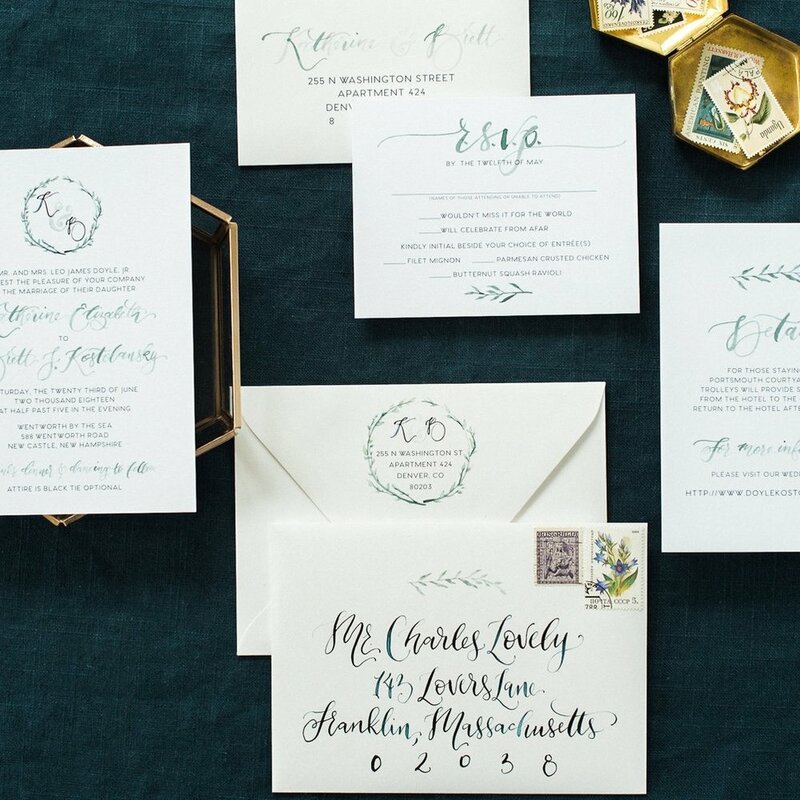 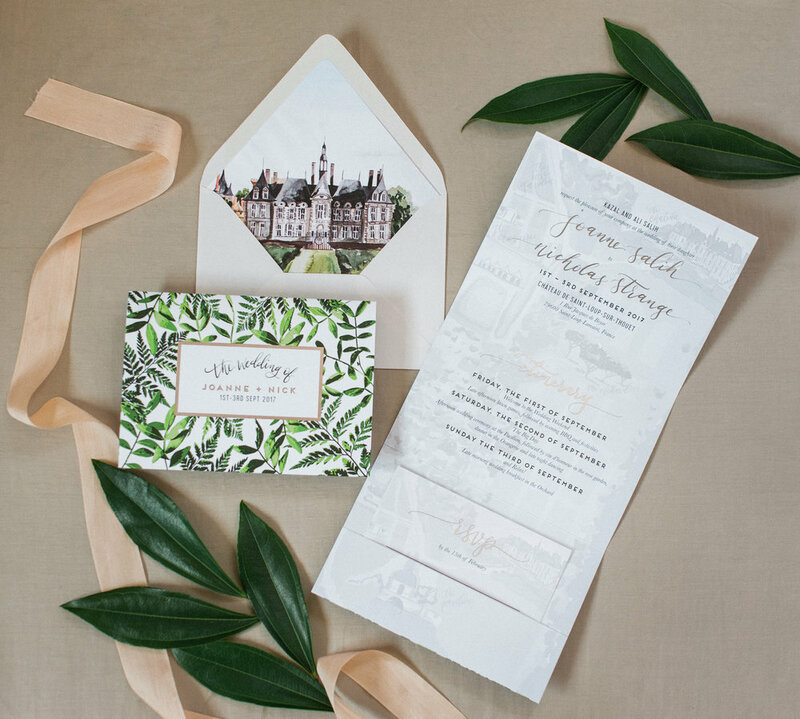 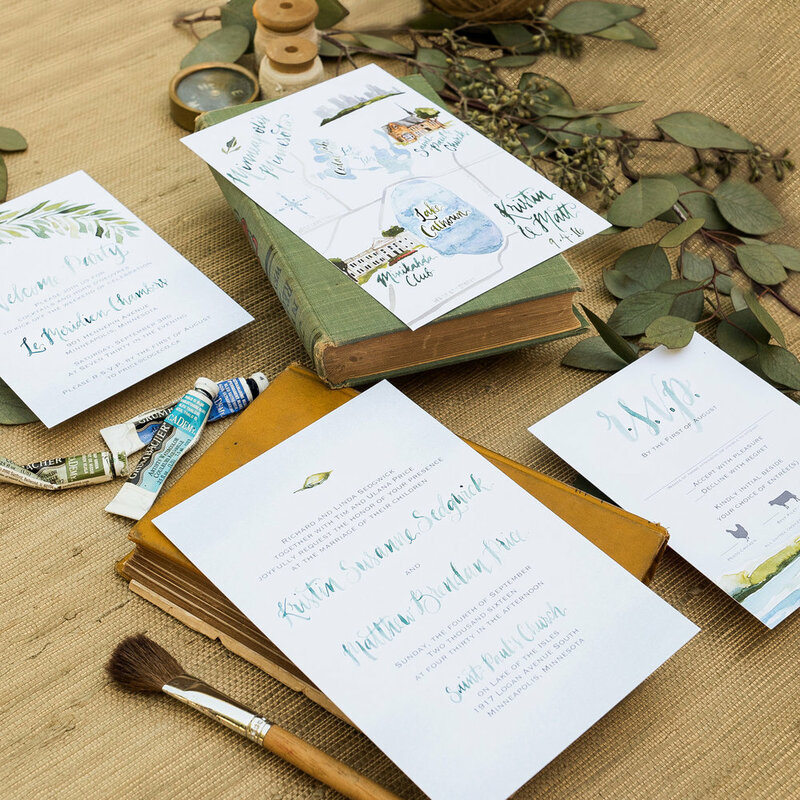 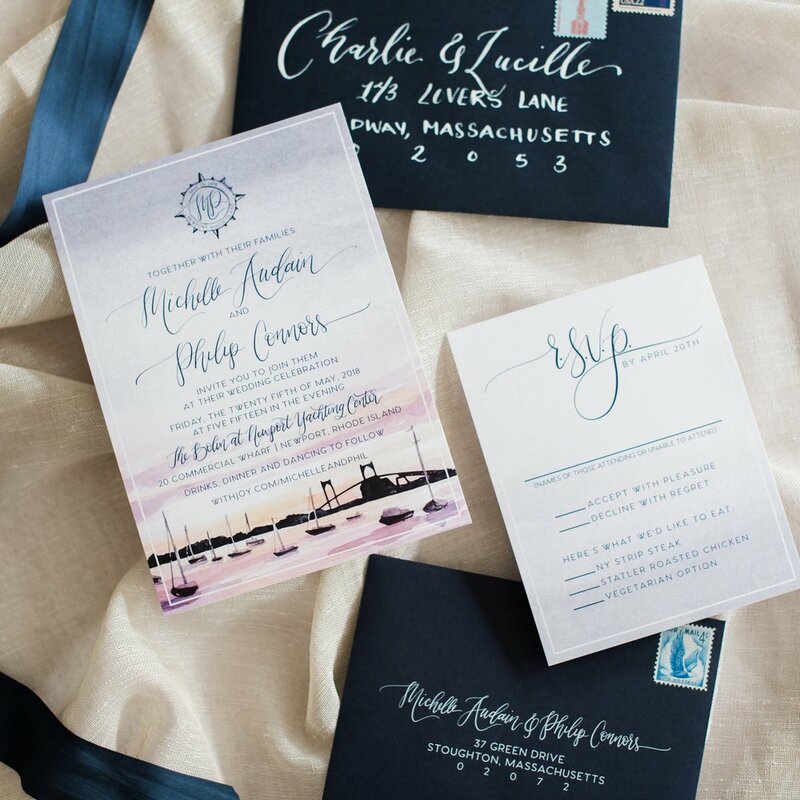 Below are examples of wedding invitation suites that were designed for specific couples. 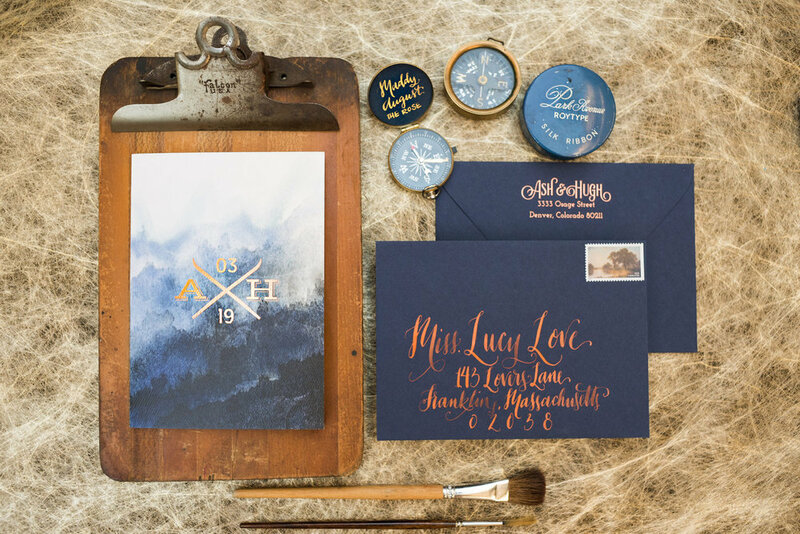 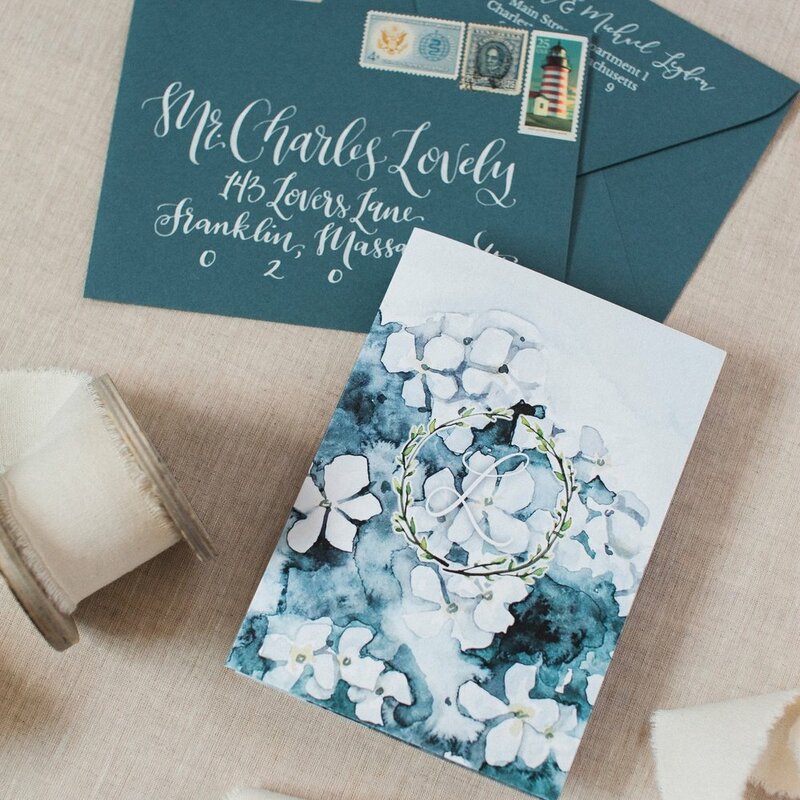 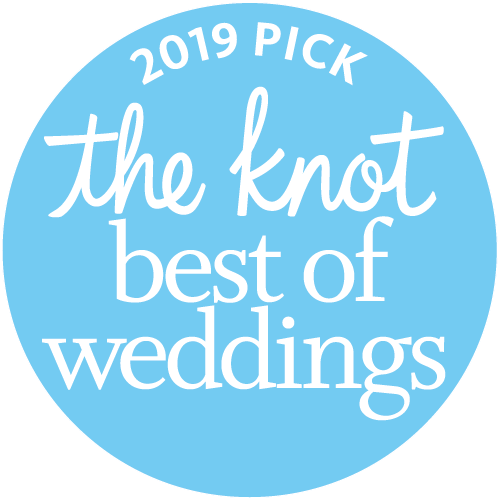 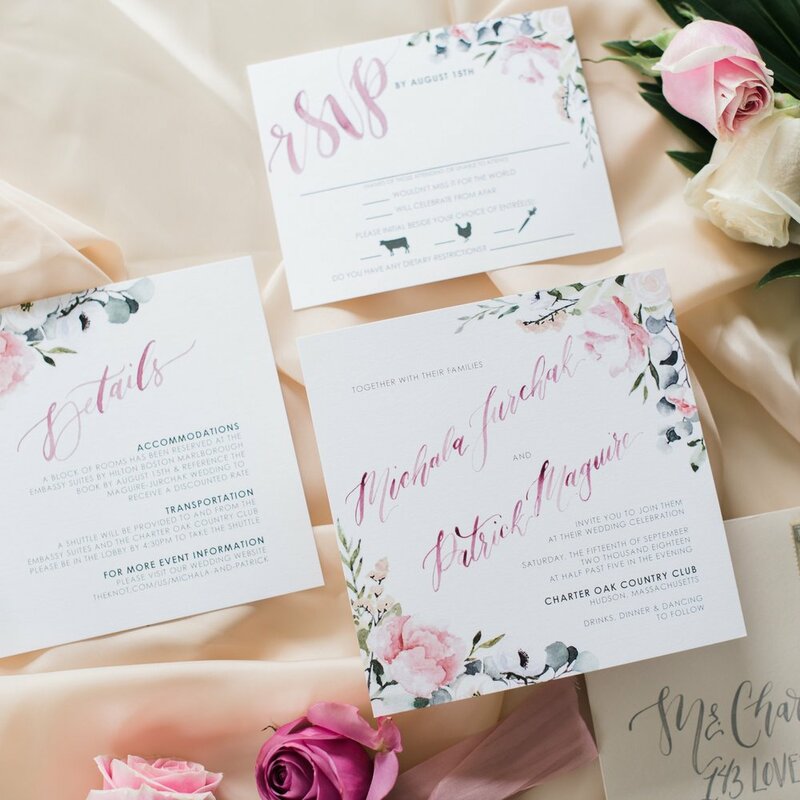 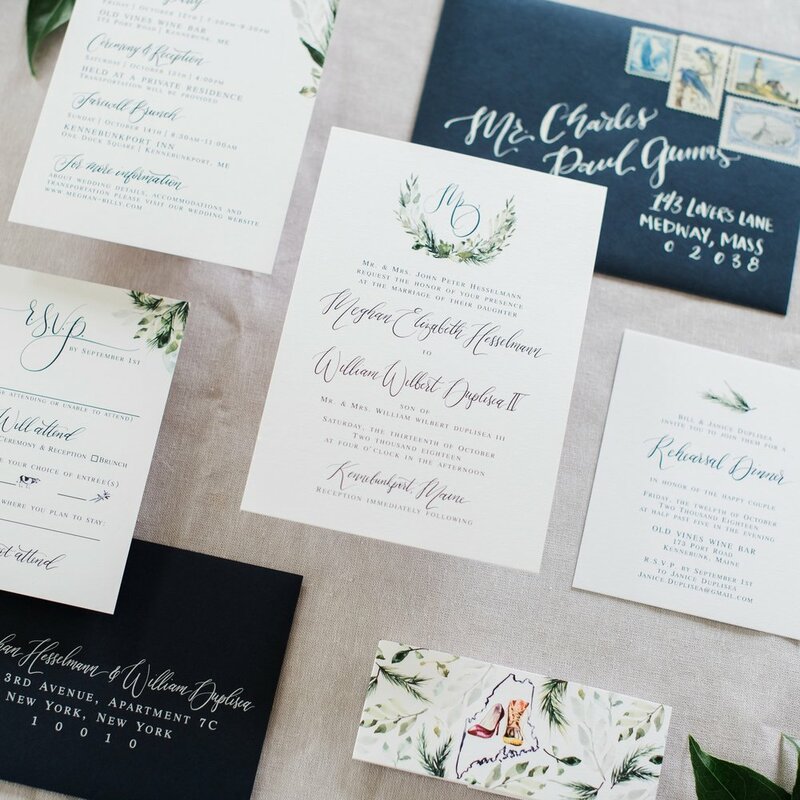 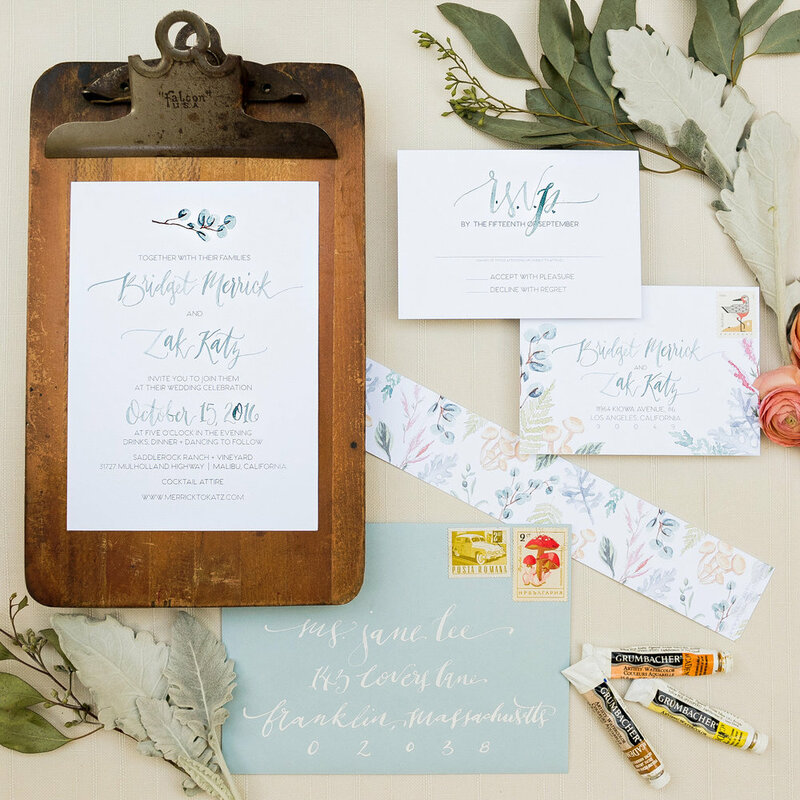 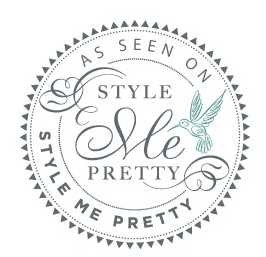 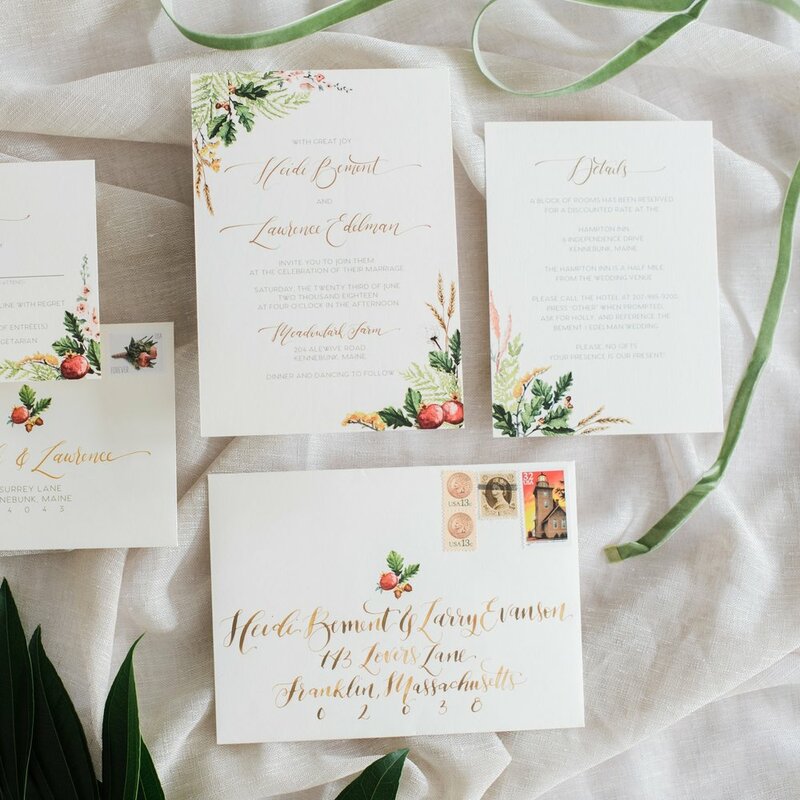 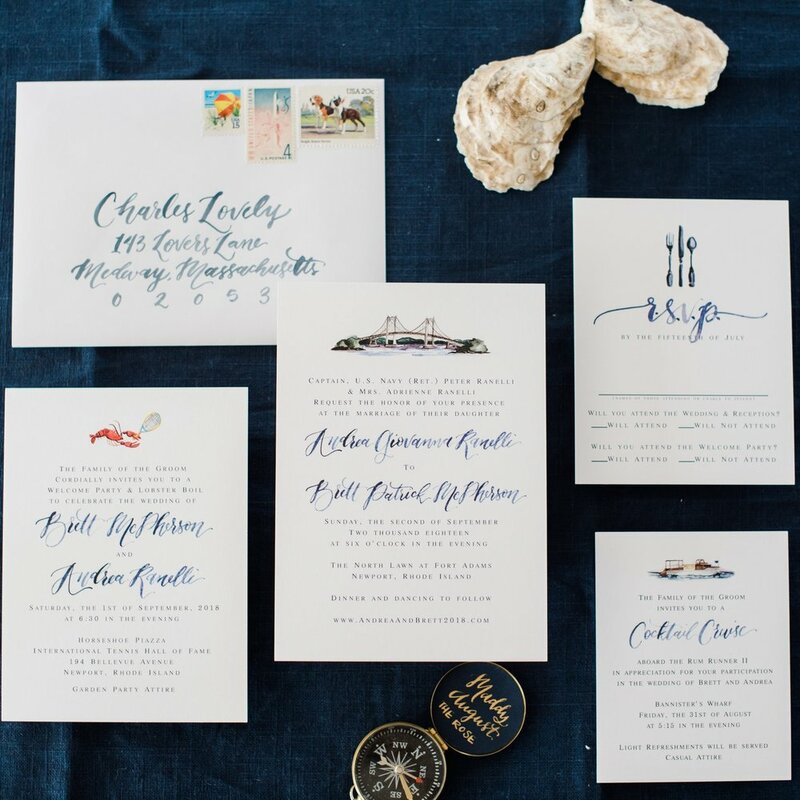 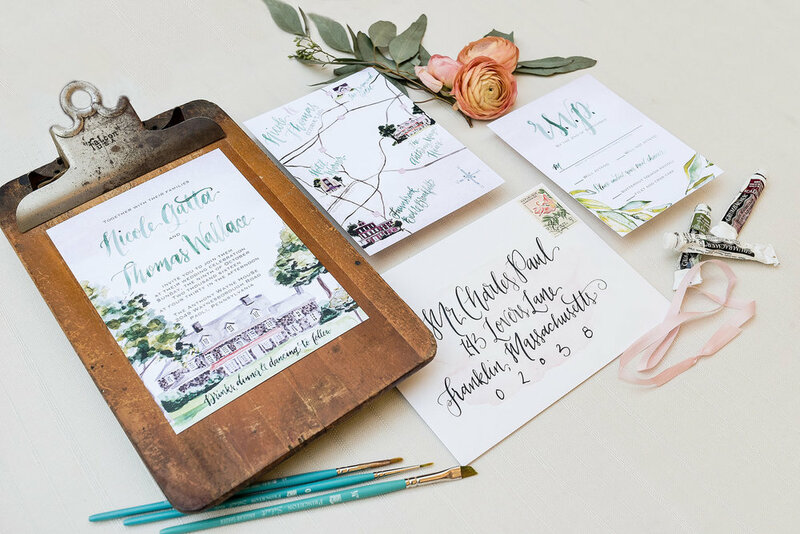 These are just examples of what can be done, from digital & foil printing, hand lettering & custom watercolors & illustrations, to creative layouts & designs, creating completely custom designs is what Wouldn't it be Lovely is all about! 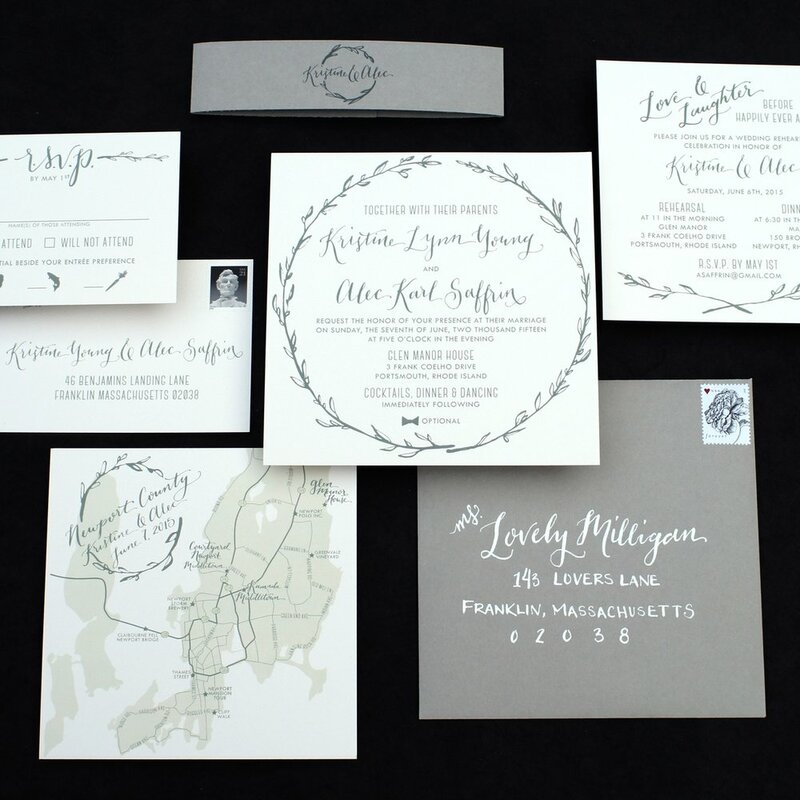 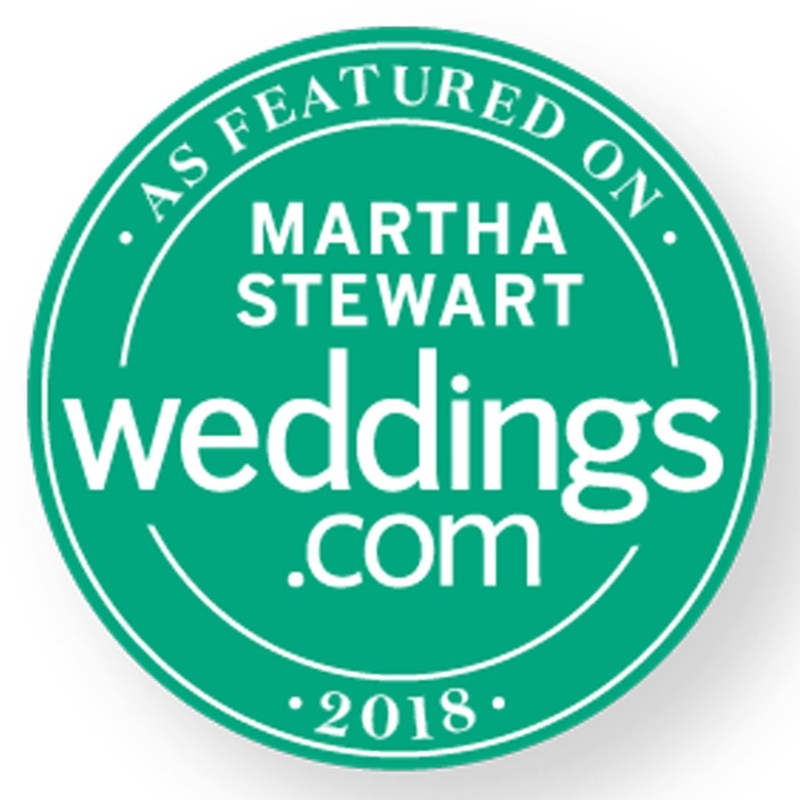 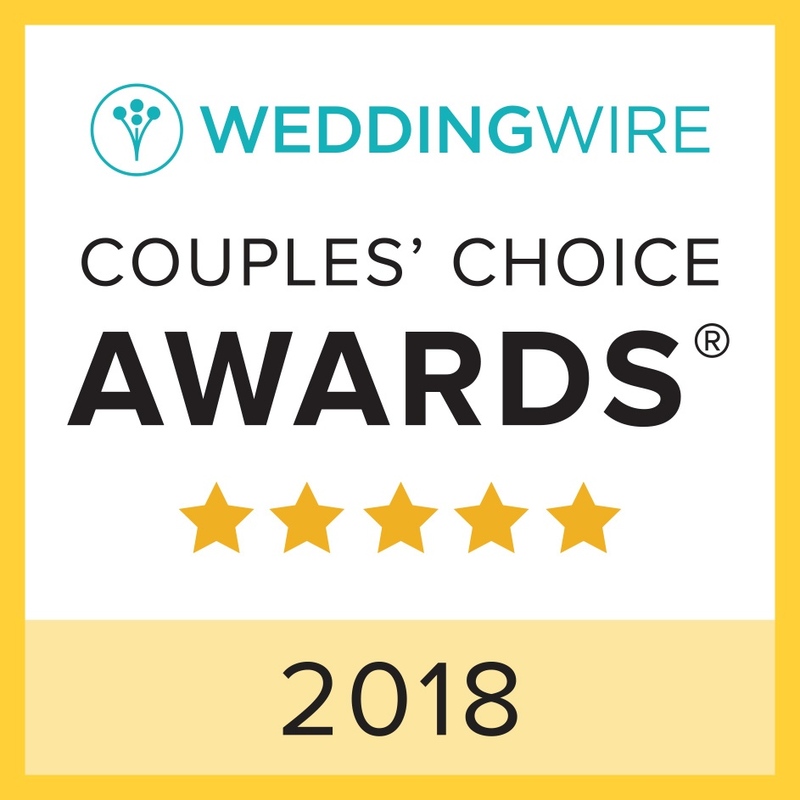 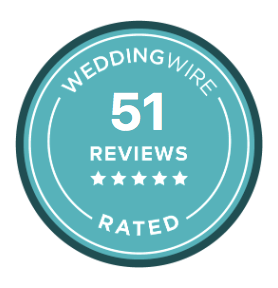 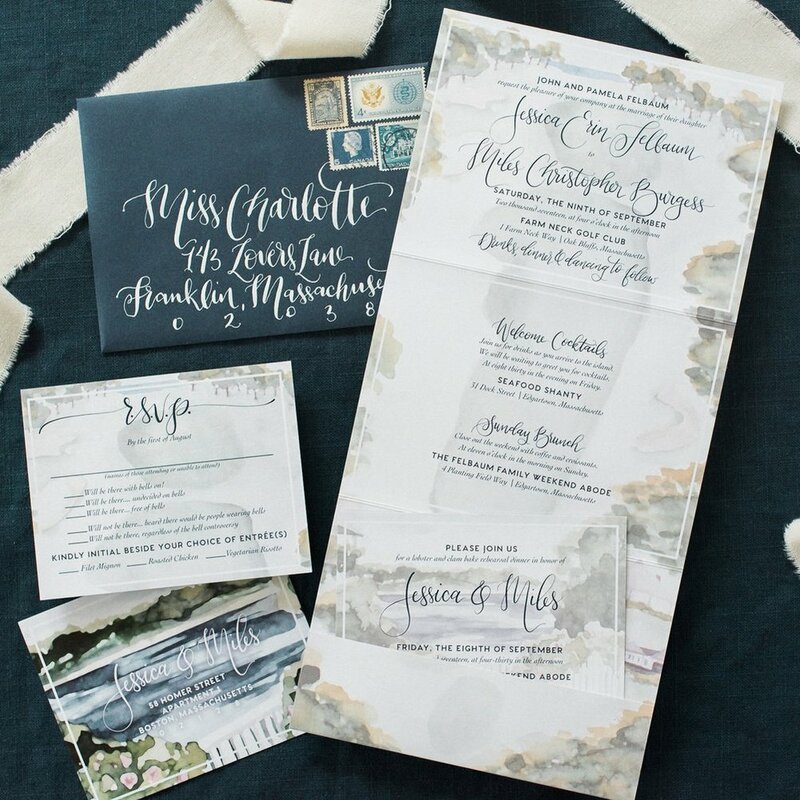 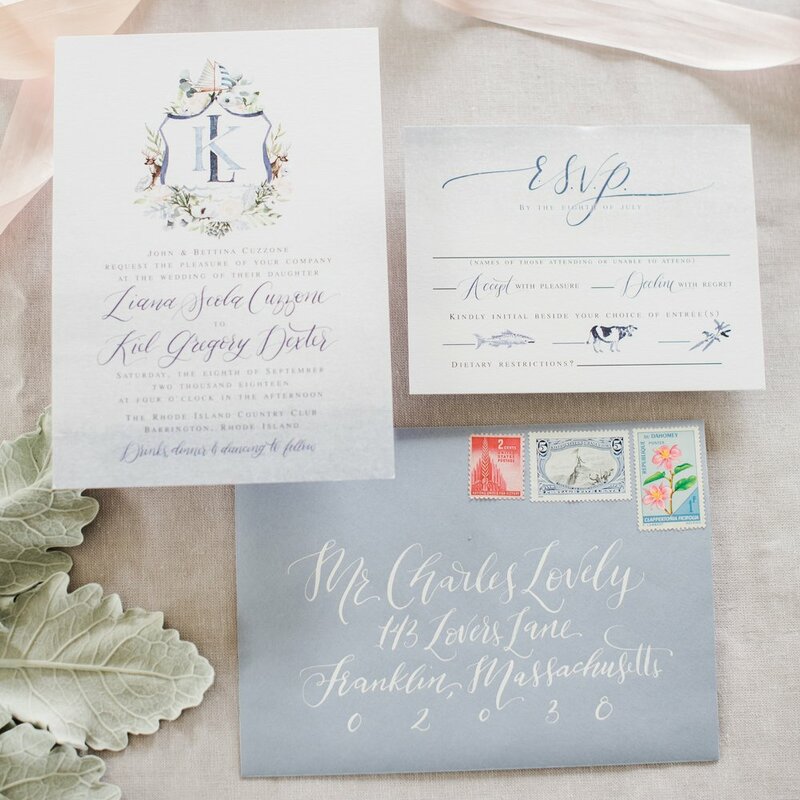 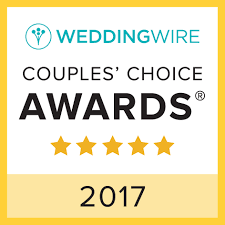 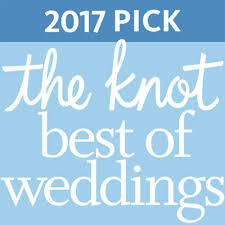 Let's start the conversation about your custom or personalized wedding invitation.